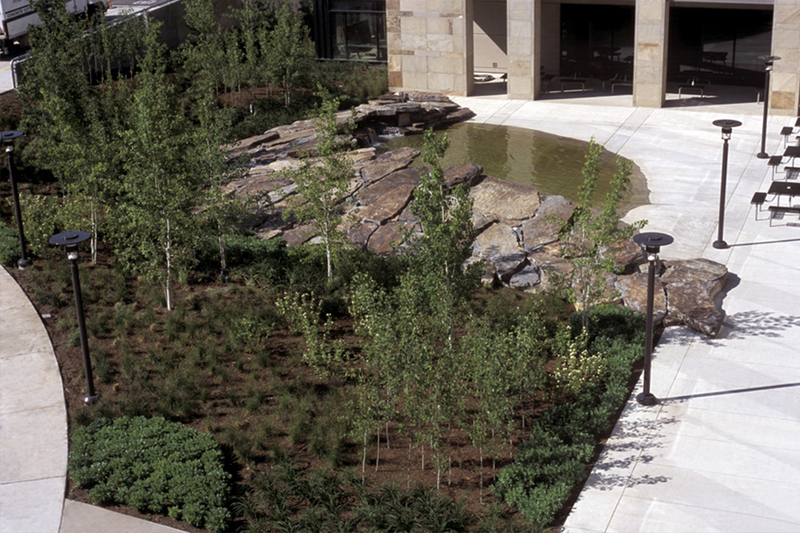 For the expansion at St. Patrick Hospital, Murase Associates a sculptural water feature was conceived as the focal point. 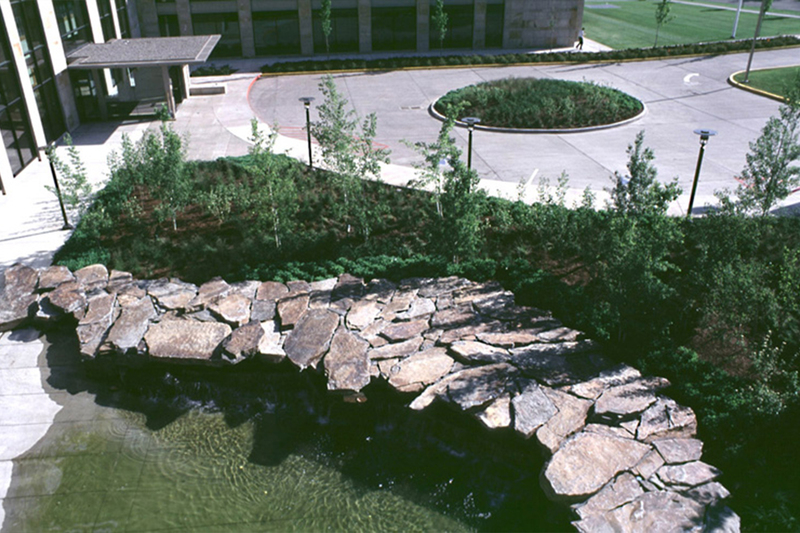 As a contemporary urban oasis, the feature is an abstract interpretation of the regional geological landscape. 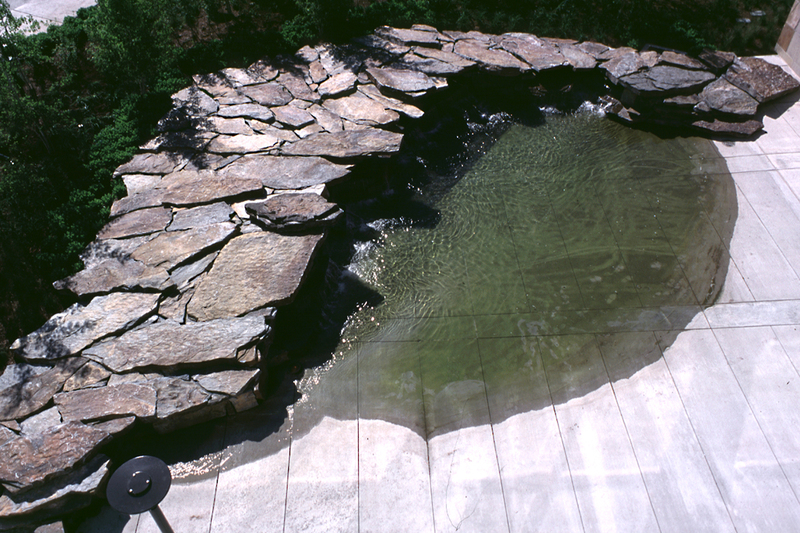 Water is released from below the stone and forms a pool at its base, spilling onto the ledges of the stone to create a sense of movement and visual interest. Well-suited to a medical facility, the soft sounds of the water create a soothing, calming effect. Stands of quaking aspen, native grasses, and wildflowers form the backdrop of the water feature and evoke the sounds and textures distinctive to the local arid prairie environment and provide a visual screen to the adjacent access road and drop-off area. 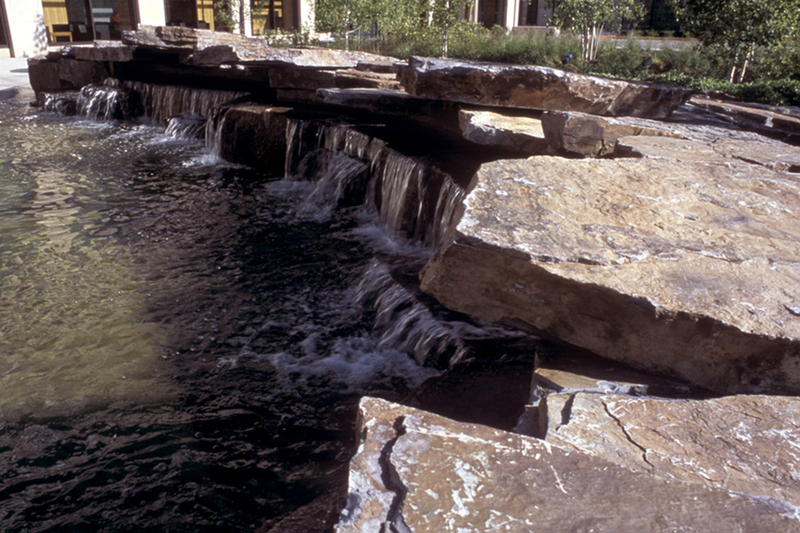 Located in the lower plaza where visitors and patients can meet for conversation or pass through to access the hospital, the water feature affords views from the interior lobby, cafeteria, and upper floors.